Each member of the Hike for Life Team is dedicated to local charities and non-Profit organizations as our way of increasing the Social Return on Investment (RSOI) to the community and environment. Bruce is the founder and CEO (Chief Exploration Officer) of Hike for Life. Bruce grew up in Colorado but did not start hiking until he was a teenager. He summited Pikes peak the first time at age 14, from Crags trailhead, the same route that Hike for Life guides today! Since then he has climbed more than 40 of Colorado’s 14ers and hiked all over the world. He loves hiking with his trail buddy, Sadie, a Black Lab from Russia. Bruce created Hike for Life to help share the wonder and joy of the outdoors with people that were new to hiking. He also believes in the importance of helping others hike more safely and with respect and appreciation for our fragile outdoor environment. He is on the board of the Colorado Mountain Club and that is his preferred outdoor non-profit. 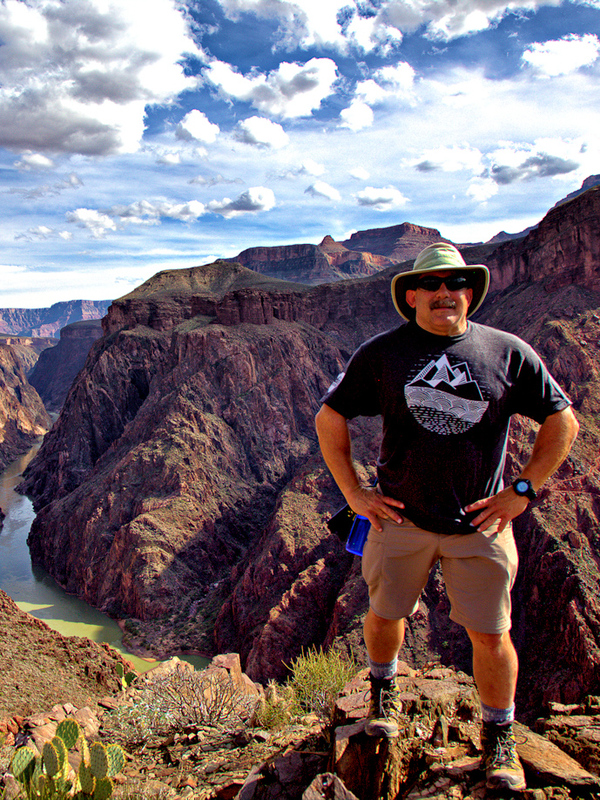 Jeff is the Co-Founder, COO (Chief Outdoor Officer), and Hiking Guide for Hike for Life. Jeff grew up in Oregon and has been an active outdoorsman since the age of 10. He did not grow up “hiking,” he grew up hunting and fishing. While hunting though, he has hiked all over Oregon and is now expanding his range to Colorado. Since moving to the area in 2017, he has been getting to know the trails in his adopted home. In January he completed a winter ascent of his first 14ner, Pikes Peak. Jeff met Bruce through a mutual friend. When he heard of the idea of a business that would get more people outdoors and involved with nature, he was “all-in.” Jeff is on the board of the Tri-Lakes YMCA and that is his preferred non-profit. 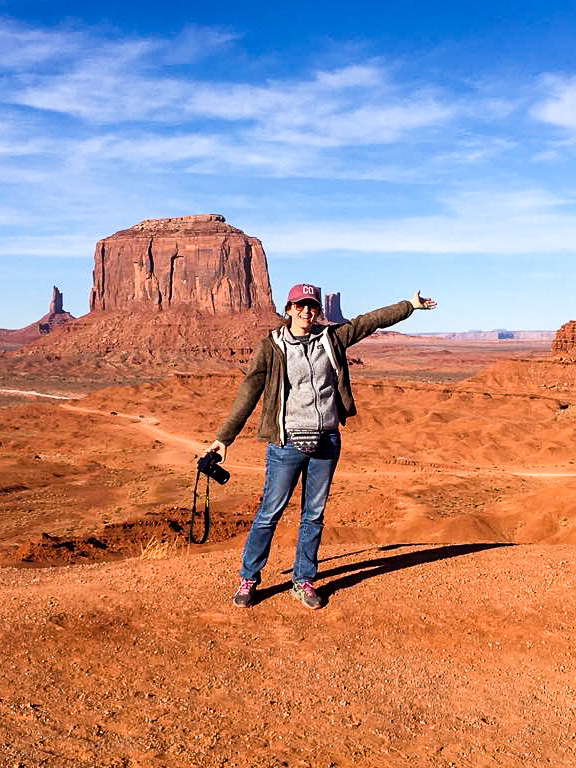 Megan is the Senior Adviser for Outreach, Photographer, and Hiking Guide for Hike For Life. Megan grew up in Indianapolis, Indiana and moved to Colorado Springs in the summer of 2014. She has always had a love for the outdoors and worked at an environmental education camp for children in Indianapolis. Since moving to Colorado, Megan’s passion for photography has taken off and now her favorite thing to do is to escape into the mountains with her husband, two dogs, and her camera. She also enjoys camping, skiing, snowshoeing, canoeing, and trail running. She has a drive for educating people and believes our parks are the treasures of this country. Megan has chosen Guardians of Palmer Park for her preferred non-profit to help preserve Palmer Park for future generations to enjoy and love. Ren is the Social Media Director for Hike for Life. Ren is a Colorado native that spent most of her childhood to early adult years in Eagle, Colorado. She now resides in Colorado Springs and is finishing up her last year at UCCS. In 2017, Ren joined Hike for Life helping develop and manage social media content with Megan McCullough! Ren thrives in an environment where there is plenty of sunshine, mountains, and snow! She is always ready and eager to hike any mountain! For the love of dogs and people, Ren enjoys sharing Hike for Life’s mission: “nurture our outdoor community spirit and to inspire other to appreciate and care for our great outdoors”! Her preferred non-profit is the Give Well foundation. Bob is a retired firefighter and a Hiking Guide for Hike for Life. 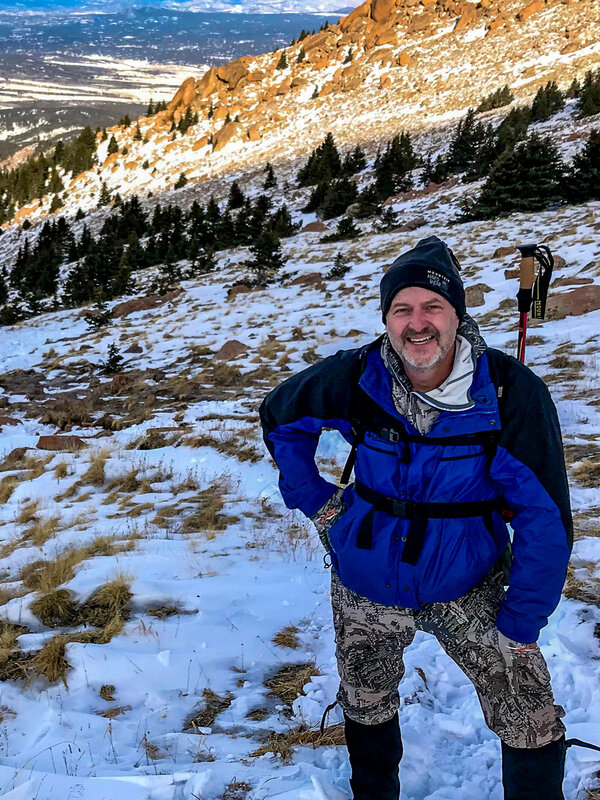 Bob has lived in Colorado for more than 26 years and is heavily involved in outdoor recreation as a newspaper and magazine columnist, guide book author, podcaster, and subject expert for local TV news stations. He is a former president of the Friends of Cheyenne Canon, and is chairperson of the El Paso County Parks Advisory Board. Bob is also an accomplished landscape photographer and travels extensively in the western United States, hiking and taking stunning photographs. Because he hikes more than 700 miles a year, there aren’t many trails in the Pikes Peak region that Bob is not familiar with. Bob chose the Trails and Open Space Coalition as his preferred non-profit because of their relentless advocacy for outdoor recreation.